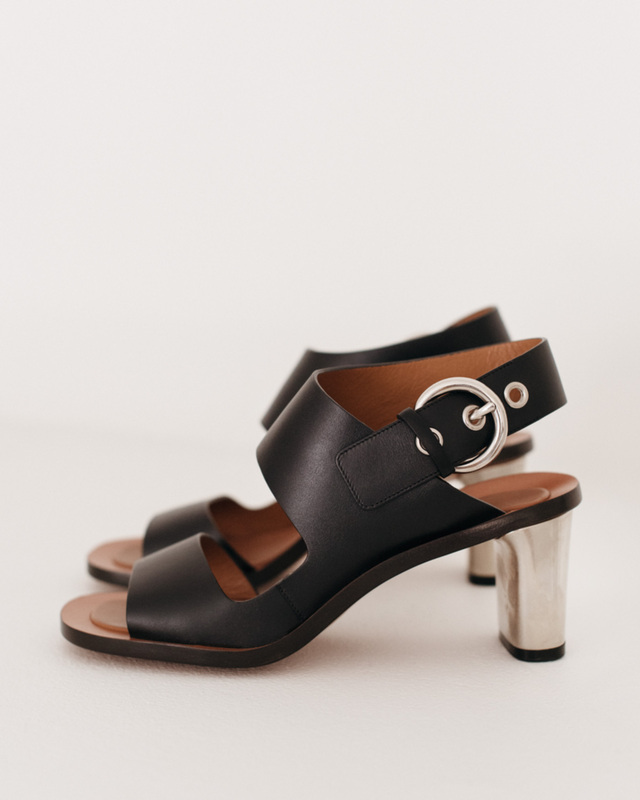 Leather sandals with a steel heel by Céline. I am packing for summer. I am going to spend most of it barefeet at the Italian country. For dining out, I have discovered the brilliance of a modest heel. It gives you a nice posture and a dressed up feel, yet you don’t get your heels destroyed with gravel, grass, or whatever it is you walk on. I am taking with me two pairs of sandals for this use, both come from Céline and in styles that last from season to season. The steel heel height is 75 mm, the wedge heel measures under 60 mm. You can barely call that a heel yet it gives your outfit a little boost and makes you feet feel super pretty.